individual of Earth-3. It’s worth mentioning that Jordan’s Ring of Volthoom bullies him into accepting its burden. The Ring is steadily inflicting him with pain, destroying his body, but Jordan’s too cowardly to muster the willpower to get someone to take it off him. Jordan’s abilities appear to be pretty lackluster and in spite of being a member of the Crime Syndicate, his situation plays like more of a cruel joke. 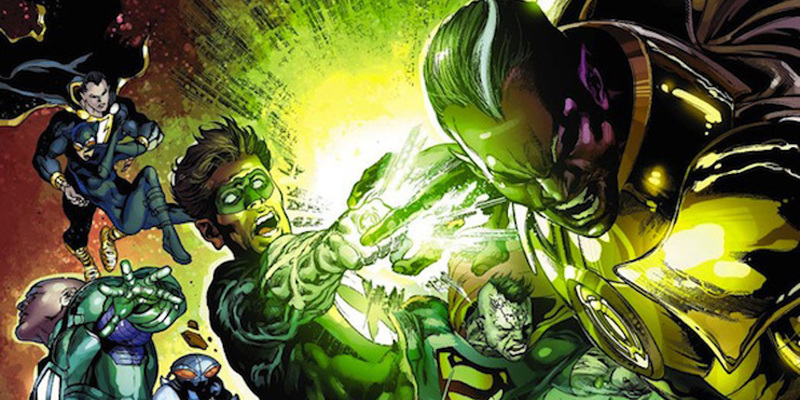 Power Ring’s fate is ultimately pretty gruesome as the Sinestro of his world, a member of the Injustice League, ends up tearing off Jordan’s arm and finally ridding him of the responsibility of the powers of this Ring. The Ring and its abilities might have turned Jordan into a villain, but he at least gets to die as a normal human.